Golfers like you are a passionate lot with a burning desire to work on your game, whenever and wherever possible. This dedication to improve led us to develop a new video series called FOLLOW-ALONG GOLF: AT-HOME LESSONS. So, we’ve got you covered, even when you can’t get out to play. 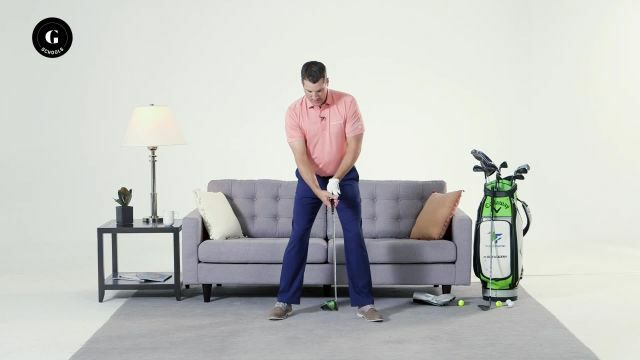 Join Travis Fulton, a Golf Digest Best Young Teacher, as he demonstrates step-by-step routines and drills to improve your swing, max out driver distance, hit wedges closer to the hole and drain more putts. Travis also walks you through dynamic warm-ups to boost flexibility and avoid injury. You can watch the three videos—5, 15 and 30 minutes—as often as you like. All you need is your clubs and a few household items to follow along with Travis. Let’s get started!